It's just that EASY to start ordering! 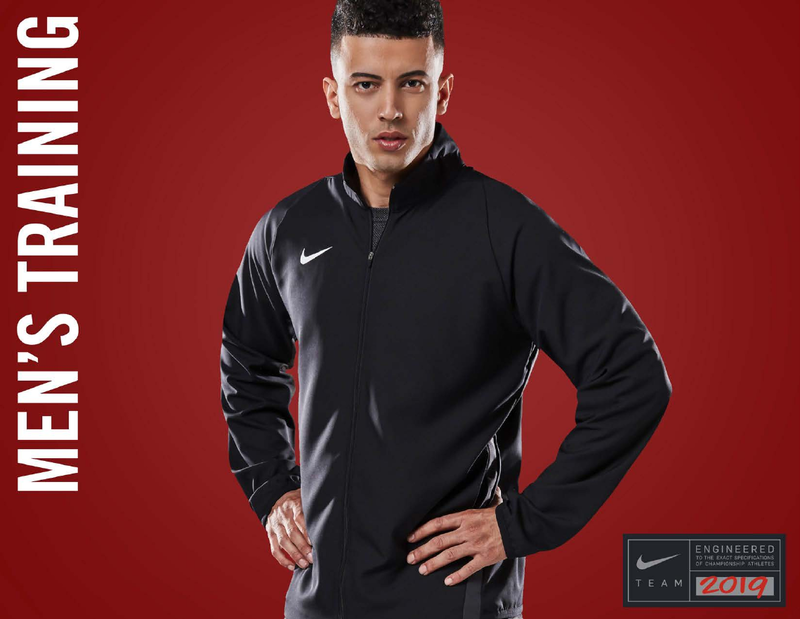 We have soccer gear to cover you. How do I create a "My Ewing" account? How do I place an order for my child's uniform? How do I place an order for fanwear? What size is my child? What if I do not see my child's size? A confirmation email will be delivered to the email address you provided. Please check your email and follow the instructions to activate your account. Once your account has been activated, follow the steps below to place your first order. On the homepage, click the "Sign In" button, enter your email address and password, then click the "Sign In" button. Your child's club will appear on this page. If the incorrect club appears, or if you need to add a new club, click the "My Ewing" button at the top of the page (beside the Cart icon) and click "Your Clubs". Use the drop down menu to locate and select the correct club. Click "Add Club" to save your selection. Click the "My Ewing" button at the top of the page again and click "Your Players". If your child's name appears on the list, click the "Order for this Player" button located beside their name. If your child's name does not appear on the list, use the search box to locate and add your child. Once added, click the "Order for this Player" button located beside their name. This will bring you to the ordering page where you can make your selections and place your order. You can order your club's fanwear on this page. If the incorrect club appears, or if you need to add a new club, click the "My Ewing" button at the top of the page (beside the Cart icon) and click "Your Clubs". Use the drop down menu to locate and select the correct club. Click "Add Club" to save your selection. You will be redirected back to the fanwear product page, where you can make your selections and place your order. 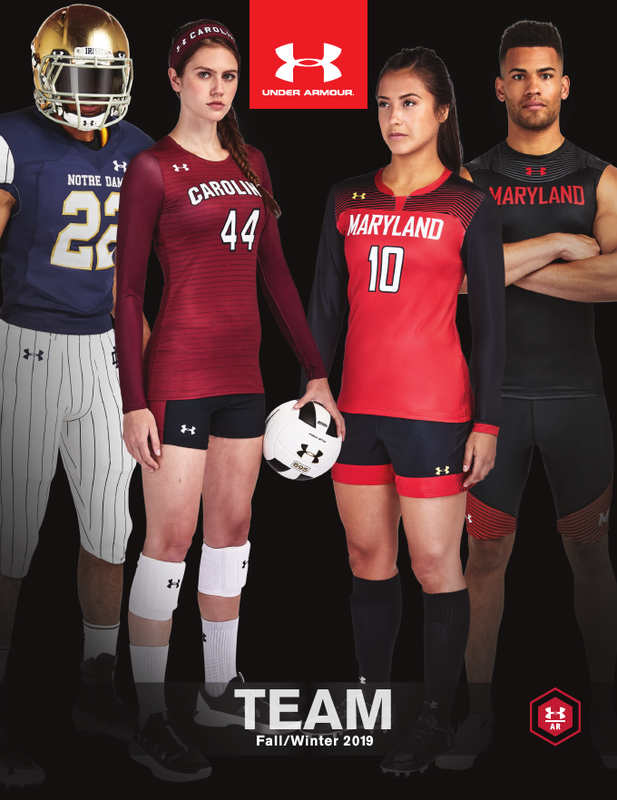 Please Note: If you sign in and your team's mandatory uniform kit is displayed, please click on the "Shop Fanwear" link, located in the left side menu, to navigate to the fanwear ordering page. Items can only be returned or exchanged if they have not been printed or embellished. Printed or embellished items include anything that has a logo, number or name on the garment. If a size does not appear for an item it is currently on backorder. You may need to select a substitute size or determine if the backorder date listed is appropriate. Any other questions can be directed to our dedicated team of customer service representative by emailing teamhq@ewingsports.com and dialing toll-free 1-800-579-3636 or 609-882-8020. Your business is important to us 365 days a year. We make it easy for you and your players by having an online ordering site accessible 24/7 and stocking your club’s kit. 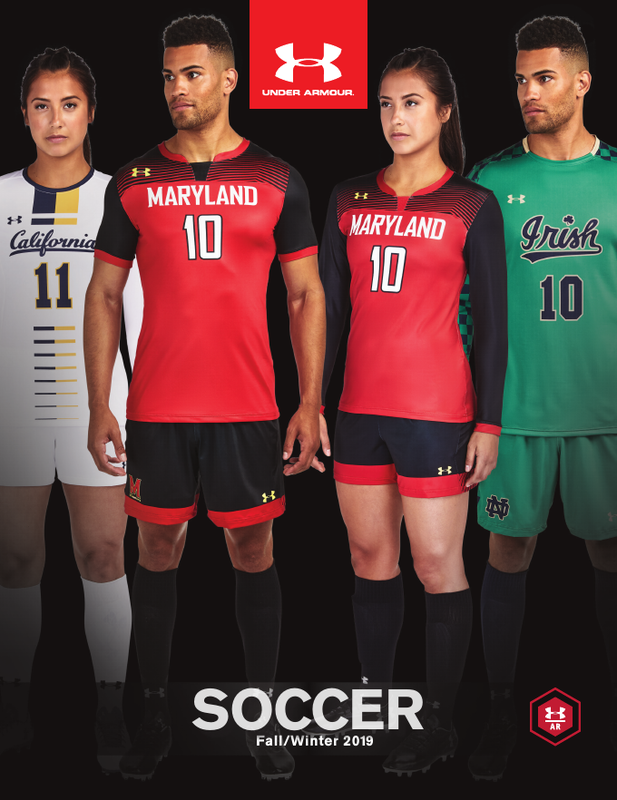 Nike, adidas, Under Armour and other top soccer brands provide our customers with exclusive products that are not released to all soccer specialty or team retailers, as well as, inventory the majority of the industry cannot access. In-House printing ensures your orders are always under our watchful eye. We offer an array of printing options to fit your every desire. Our innovative, Online Ordering System received a complete overhaul in 2014 to ensure it is easy to navigate and simple to use. Any parent, team manager or club manager will have a unique online shopping experience tailored to them. Best of all, your club’s Player and Fanwear stores NEVER CLOSE! 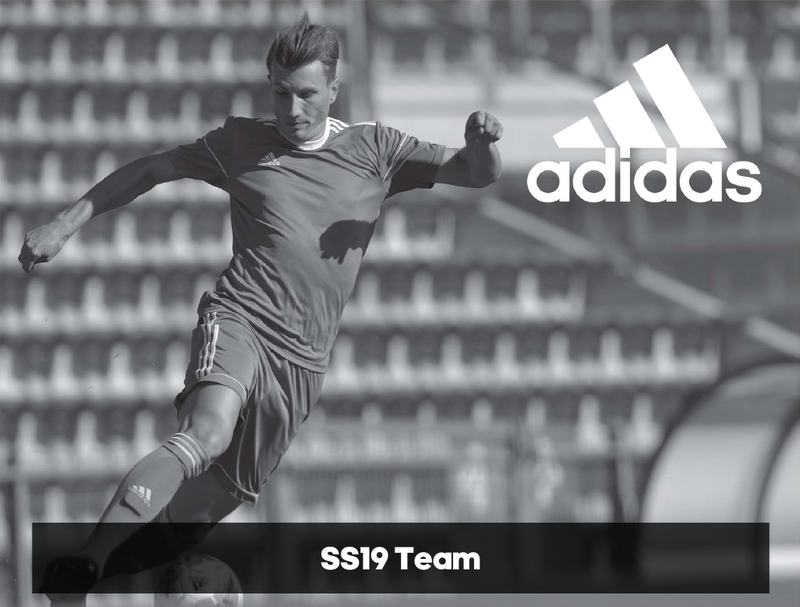 Top-of-the-line footwear and authentic replica apparel will be available to all our partners through our online ordering system, making Ewing Sports a One-Stop Shop for all your soccer needs. 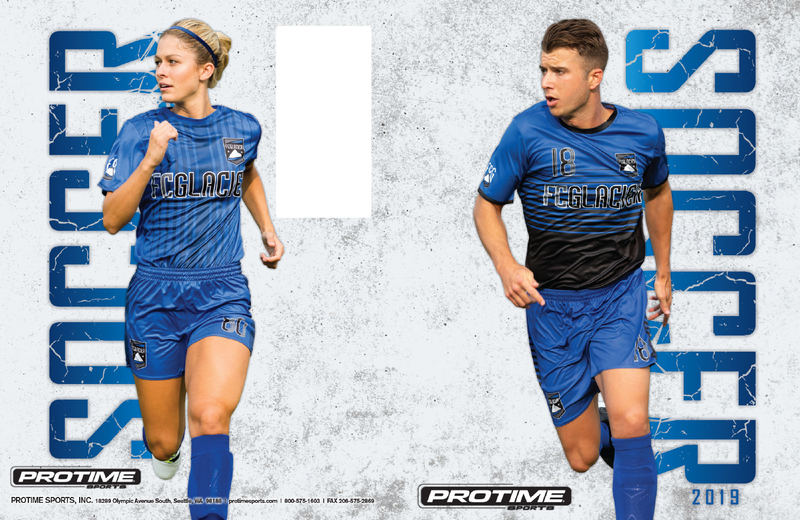 Founded in 1982, Ewing Sports has become one of the premier soccer suppliers in the country, outfitting soccer clubs with customized apparel packages that stand out on the pitch. Decades of personalized service built on commitment and relationships makes Ewing Sports the destination for clubs and teams. The passion for soccer shared by our staff, customers, and partners always leads to a winning team. No club or school is too big or too small for Ewing Sports. We service customers near and far, building relationships based on honesty and trust, NOT a transaction. We strive to ensure that we treat everyone as a vital piece in our puzzle. Ewing Sports services over 350 organizations in 21 states. Our customized apparel can be seen on over 55,000 players and their families. The request to reset your password has been cancelled. Congratulations! Your account has been successfully activated. Click here to sign in. Congratulations! Your account has been successfully activated. We're logging you in now. If you aren't redirected in 5 seconds, click here to sign in. An unknown error occurred when attempting to activate your account. To activate your account, please complete the form below. Your account has successfully been activated. You can log in at any time to continue shopping! “Affiliates” refers to companies and divisions under the ownership of Ewing Sports, LLC, or that own Ewing Sports, LLC. “Content” includes all Text, Graphics, design and Programming used on the Website. A limited license is granted to you by us to view, download, and use a single copy of the Website solely for your personal, non-commercial use and only as an aid to shopping on the Website. The Website may be used in a manner consistent with this purpose, and only within the context of the products, services and information set forth on the Website. Except as provided herein, you are not permitted to download (other than page caching), copy, or change any portion of the Website, unless you have our express written consent. Certain functions of the Website, including purchasing products, may require registration. You may only create and use an account for your own personal use. If you register or provide information to us in any manner, you agree to provide only true, accurate, current and complete information. You are responsible for maintaining the security of your account, and you are fully responsible for all activities and actions that occur in connection with the account. If we issue a username and/or password to you, you agree to protect such information by, among other things, keeping your password and other information relating to your account confidential. You must immediately notify us of any unauthorized uses of your account or any other breaches of security. We will not be liable for any acts or omissions by you, including but not limited to any damages of any kind incurred as a result of such acts or omissions. If you delete your account, we may still need to retain certain information for record keeping, administrative, legal and technical purposes, and there may also be residual information that will remain within our databases and other records, which will not be removed or changed. By registering for an account, you grant us permission to send emails, offers, promotions and other marketing material to you via email, including both commercial and transactional/relationship emails. You may unsubscribe at any time. All features, content, specifications, products and prices of products described or depicted on this Website are subject to change at any time without notice. All prices and denominations are listed, and concomitant transactions are conducted, in United States Dollars. Certain colors, measures and similar descriptions may be approximate and are provided for convenience purposes only. For example, the particular technical specifications and settings of your computer and its display could affect the accuracy of its display of the colors of products offered on the Website. We attempt to ensure that information on the Website is complete, accurate and current. Despite our efforts, the information on this Website may occasionally be inaccurate, incomplete or out of date, and we make no representation as to the completeness, accuracy or currentness of any information on the Website. For example, products included on this Website may be unavailable, may have different attributes than those listed, or may actually carry a different price than that stated on the Website. We reserve the right, at our sole discretion, to limit the number of items purchased per person, per household, or per order. These restrictions also may be applicable to orders placed by the same account, the same credit card, and also to orders that use the same billing and/or shipping address. The inclusion of any products on the Website at a particular time does not imply or warrant that these products will continue to be available. You may not purchase any item from this Website for resale by you or any other person, and you may not resell any item purchased from this Website. You will not be charged until your order is verified, payment authorized, and your order has entered the shipping process. However, we reserve the right to decline your order at its sole discretion, at any time, whether you have received a confirmation or your credit card has been charged. Some of the reasons your order may be declined are if the goods are unavailable, if pricing is in error, or if there are problems concerning credit or an issue of fraud is detected. We will contact you if your order is declined or if we need more information. If your order is declined, we will credit your credit card for any amount charged with respect to such order. While it is our practice to confirm orders by email, the receipt of an email order confirmation does not constitute our acceptance of an order or our confirmation of an offer to sell a product or service. Risk of loss and title for items purchased from this Website pass to you upon delivery of the items to the carrier. You are responsible for filing any claims with carriers for damaged and/or lost shipments. Due to the customized nature of many of our products, non-defective items can only be returned or exchanged within thirty (30) days of your order, and only if they have not been printed or embellished. Printed or embellished items include anything that has a logo, number or name on the garment. In order to facilitate communications between you and us, this Website offers you the ability to contact us. Although we strive to protect and secure our online communications, and use the security measures detailed in our Privacy Notice to protect your information, please note that no data transmitted over the Internet can be guaranteed to be completely secure and no security measures are perfect or impenetrable. We shall have no liability whatsoever for any unaccepted or unprocessed email instructions or requests, or for any loss or damage arising from or in connection with any unauthorized use by third-parties of any information that you send by email. If you would like to transmit sensitive information to us, please contact us to arrange a more secure means of communication. Except for information necessary to place an order, we do not want to receive any confidential or proprietary information or trade secrets through the Website. By sending us information of any kind (“Submissions”), you are granting us an irrevocable and unrestricted worldwide license to use, modify, reproduce, adapt, transmit, sell, license and sub-license, create derivative works from, publicly display, perform and distribute your Submissions for any purpose whatsoever (commercial or otherwise), in any form, media or technology, whether now known or hereafter developed, alone or as part of other works, with no payment or other compensation to you, subject to the Privacy Notice. You also acknowledge that we may use your Submissions and any ideas, concepts or knowhow contained therein for any purpose including, without limitation, developing, manufacturing, distributing and marketing products. However, we will not use your name unless it is required by law to identify the source of the materials, information, suggestions, ideas or comments, or unless your permission is first obtained. You agree to indemnify us for all claims arising from or in connection with any claims to any rights in any Submission, as further set forth below. You further irrevocably waive any “moral rights” or other rights with respect to attribution of authorship or integrity of materials regarding any Submission that you may have under any applicable law or under any legal theory. This section will survive termination of this Agreement for any reason. We do not assume any obligation to review or monitor the content or other information submitted to the Website by third parties. You assume the risk of verifying the accuracy of such information posted through independent investigation. Notwithstanding the foregoing, we may at our discretion review information submitted to the Website for any purpose whatsoever and we reserve the right, in our sole discretion, to remove, edit or reject any information submitted to the Website for any reason whatsoever. We will respond to claims of copyright infringement, and will promptly process and investigate notices of alleged infringement by third-parties and will take appropriate actions under the Digital Millennium Copyright Act (“DMCA”), Title 17, United States Code, Section 512(c)(2), where applicable. In keeping with the DMCA, notifications of claimed copyright infringement by third-parties should be sent to Website's designated agent noted below (the “Designated Agent”). If you believe that your copyrighted work has been infringed under U.S. copyright law and is accessible on the Website, please notify us by contacting the Designated Agent. or by e-mail at customerservice@ewingsports.com. THE WEBSITE, AND ITS CONTENT, INCLUDING ALL PRODUCTS SOLD, ARE PROVIDED “AS IS” AND WITHOUT ANY WARRANTY WHATSOEVER. WE DISCLAIM ANY AND ALL EXPRESS AND IMPLIED WARRANTIES WHATSOEVER TO THE MAXIMUM EXTENT PERMITTED BY LAW, INCLUDING WITHOUT LIMITATION, THE WARRANTIES OF MERCHANTABILITY, TITLE, NON-INFRINGEMENT OF THIRD-PARTIES RIGHTS, AND FITNESS FOR PARTICULAR PURPOSE. YOUR USE OF THIS WEBSITE AND PRODUCTS, AND/OR RELIANCE ON ANY OF ITS CONTENT IS AT YOUR OWN RISK. WE DO NOT WARRANT THAT THE FUNCTIONS OR CONTENT CONTAINED IN THIS WEBSITE WILL BE UNINTERRUPTED, ACCURATE OR ERROR-FREE. YOU AND NOT EWING SPORTS ASSUME THE COST OF ALL NECESSARY SERVICING, REPAIR, OR CORRECTION IN THE EVENT THAT THERE IS ANY LOSS OR DAMAGE ARISING FROM OR IN CONNECTION WITH THE USE OF THIS WEBSITE OR ITS CONTENT. WE DO NOT WARRANT OR MAKE ANY REPRESENTATION WHATSOEVER REGARDING THE USE, OR THE RESULT OF USE, OF THE CONTENT OF THIS WEBSITE RELATED TO ACCURACY, RELIABILITY OR OTHERWISE. THE CONTENT OF THIS WEBSITE MAY INCLUDE ERRORS (INCLUDING, WITHOUT LIMITATION, TECHNICAL OR TYPOGRAPHICAL ERRORS), AND WE MAY MAKE CHANGES OR IMPROVEMENTS TO THIS WEBSITE AT ANY TIME WITH OR WITHOUT NOTICE. NEITHER WE NOR ANY OTHER PERSON OR ENTITY ASSOCIATED WITH THE DESIGN OR MAINTENANCE OF THIS WEBSITE SHALL BE HELD LIABLE OR RESPONSIBLE IN ANY WAY FOR ANY DAMAGE, LOSS, INJURY, OR MALFUNCTION ASSOCIATED WITH YOUR USE OF THIS WEBSITE. IN NO EVENT SHALL WE AND/OR OUR SUBSIDIARIES, AFFILIATES, RELATED COMPANIES, SUPPLIERS, ADVERTISERS, SPONSORS, THIRD-PARTY SERVICE PROVIDERS, AND THEIR RESPECTIVE EMPLOYEES, OFFICERS, DIRECTORS, AND AGENTS BE LIABLE FOR ANY INCIDENTAL, CONSEQUENTIAL, PUNITIVE, INDIRECT OR SPECIAL DAMAGES, (INCLUDING LOST PROFITS AND DAMAGES) WHETHER BASED ON WARRANTY, CONTRACT, TORT, OR ANY OTHER LEGAL THEORY, AND WHETHER OR NOT WE ARE ADVISED OF THE POSSIBILITY OF SUCH DAMAGES. BECAUSE SOME STATES OR JURISDICTIONS DO NOT ALLOW THE EXCLUSION OR LIMITATION OF LIABILITY FOR CONSEQUENTIAL OR INCIDENTAL DAMAGES, THE LIMITATIONS SET FORTH IN THIS PARAGRAPH MAY NOT APPLY TO YOU. IF THE FOREGOING LIMITATIONS ARE HELD INAPPLICABLE OR UNENFORCEABLE FOR ANY REASON, THEN OUR MAXIMUM LIABILITY TO YOU FOR ANY TYPE OF DAMAGES SHALL BE LIMITED TO THE COST OF THE ITEM(S) PURCHASED PLUS SHIPPING AND SALES TAX, AS APPLICABLE. You, on behalf of your successors, assigns, heirs, and personal representatives hereby irrevocably and fully release us, and our subsidiaries, Affiliates and each of their officers, directors, employees, assigns, agents and representatives from and against any and all suits, claims, actions, causes of action, arbitration, liabilities, obligations, damages, losses, penalties or fines known or unknown, arising out of or in connection with (1) your use of this Website and the use of products sold from the Website. The Website may contain links to other websites for your convenience and information. We do not control the content that appears on these websites or their privacy practices. Notwithstanding the presentation of, or links to, any third-party information or website on the Website, no such presentation shall be considered an endorsement, guarantee, representation or warranty, either express or implied, by us on behalf of any third-party and we shall have no liability or responsibility whatsoever for the content thereof. We cannot and do not guarantee or warrant that the materials contained on this Website will be free of viruses, worms or other code or related hazards that may have destructive properties (collectively “viruses”). It is your responsibility to ensure that you have sufficient procedures, firewalls, checkpoints, and safeguards within your computer system to satisfy your particular requirements to protect against viruses. We do not assume any responsibility or risk for your use of the Internet, nor do we assume any responsibility for any products or services of, or hyperlinks to, third-parties. Choice of Law; Jurisdiction; Venue. Your use of this Website and any dispute arising out of or in connection with this Website shall be governed by the laws of the State of New York without giving effect to any conflict of laws provisions. By accessing this Website, you agree that any action or proceeding arising out of or in connection with this Website shall be brought solely in a court of competent jurisdiction sitting in the State of New Jersey and you agree to submit to the personal and exclusive jurisdiction of the courts located in New Jersey. You hereby waive any defense of an inconvenient forum to the maintenance of any action or proceeding in other courts and any objection to venue with respect to such proceeding. You agree that regardless of any statute or law to the contrary, any claim or cause of action arising out of or related to use of the Website must be filed within one (1) year after such claim or cause of action arose or be forever barred. Ewing Sports, LLC (“Ewing Sports”) respects your privacy and is committed to taking reasonable steps towards protecting your privacy online and managing your information responsibly, in order to best understand the products and services that are most useful to you. This Privacy Notice is intended to notify you of our online privacy practices, the type of information that may be collected and stored, how the information is used, with whom the information may be shared, what choices are available to you regarding the collection, use and distribution of the information, what kind of security procedures are in place to protect the loss, misuse or alteration of information under our control, and who to contact with questions or concerns. This Privacy Notice applies to the Ewing Sports website located at www.ewingsports.com (the “Website”), to any phone, fax, and/or mail operations concerning processing of orders and questions about products or services, as well as our marketing contacts with you. This Privacy Notice does not apply to other websites to which we may link, or to other companies or persons who might be listed as third-party contacts or suppliers on this Website, or to whom we may refer you if you call or write us. We may post links on this Website as a way of helping you locate related information and products easily. However, when linking to another website, you must review that website’s privacy notice as other websites may not treat information collected online in the same manner as we do. By using this Website and/or by contacting us and providing any personal information, you consent to the collection, transfer, storage, disclosure, and use of such information by us in accordance with this Privacy Notice. If we decide to change our Privacy Notice, we will post those changes on this page. We collect personal information because it helps us provide, improve and deliver our products and services. We also collect your personal information to help us design and deliver our Website, and to deliver targeted marketing to you based on your interests and previous purchases. We also may correlate your personal information obtained from you with information from other sources. For example, if you provide us with your personal information, we may cross-check that against information that might be otherwise available through other entities such as when you seek to place an order with us in order to prevent or detect fraud. The following generally describes the type of information we may collect about you. Those who wish to communicate with us but do not wish to provide personally identifiable information online may contact us through the address or phone numbers provided on our Website, or through our online chat function. However, you should note that if you contact us by phone or via postal mail, you may still be submitting personally identifiable information to us, as set forth herein. When you order products or services from the Website, we will collect the information necessary to complete your order, such as your name, email address, shipping address, payment information, and billing address and/or shipping address. You may also provide us with other information that you might submit. Depending on the payment method you use, and only as permitted by applicable law, we may ask for other information to verify your identity or to prevent fraud. You may refuse to provide such information, but you may not be permitted to complete your purchase if we cannot verify your identity. If you do provide us with such information, you consent to it being used in accordance with this Privacy Notice. We may also collect information about your purchase, such as the items purchased, the price of the items, the payment method used, and whether the product was on sale. We will also collect information about your purchases and payment methods, as well as the shipping addresses that you use. You may also call our customer service line for information about our products. If you do so, we may ask you for information such as your name, email address, postal address, telephone number and, if you choose to make a purchase, your payment information. We use this information to respond to your requests and process your transactions. Except as otherwise set forth herein, we do not automatically collect personally identifiable information unless you voluntarily input or submit this information, such as during a registration or ordering process, when you submit questions or comments, request information, seek to open a credit account or enter into a leasing or rental arrangement, or participate in online surveys, contests, promotions or other activities. Should you voluntarily provide us with personally identifiable information, you consent to our use of it in accordance with this Privacy Notice. Even if you do not submit personal information through the Website, we gather navigational information about where visitors go on the Website and information about the technical efficiencies of our Website and services (i.e., time to connect to the Website, time to download pages, etc.). Collecting this information allows us to see which areas of our Website are most visited and helps us better understand the user experience, and helps us improve the quality of the Website by recognizing and delivering more of the features, areas, and services our visitors prefer. In this process of gathering information, we may collect personally identifiable and non-personally identifiable information (for example, domain type, browser type and version, service provider and IP address, referring/exit pages, operating system, date/time stamp, and click-stream data). We may also create and use electronic records to compile statistics about how our visitors collectively interact with our Website. You Give Us Information: We collect information from you when you submit it to us through our Website or in one of our stores. We Collect Information Automatically: We automatically collect certain types of information when you visit our Website or use our products and services. For example, we automatically collect various types of technical information when you use our Website as otherwise described in this Privacy Notice. We Collect Information from Other Sources: We may obtain information about you from outside sources. For example, we may obtain commercially available information about you from third parties, such as credit information or to prevent fraud, or purchase email lists from third parties for advertising and marketing purposes. We may also receive information from third-parties who provide services for us through web-beacons and other technologies as otherwise discussed in this Privacy Notice. A web “server log” is a record of activity created by a computer that delivers certain web pages to your browser. Certain activities that you perform on our Website may record information in server logs, such as if you enter a search term into a search box located on the Website. The server log may record the search term(s), or the link you clicked on to bring you to our Website. The server log may also record information about your browser, such as you IP address and the cookies set on your browser. From time to time, we may request information from users via surveys, contests and promotions. Participation in these surveys or promotions is completely voluntary and the user therefore has a choice whether or not to disclose this information. If you choose to participate, we may ask you for additional information, which may include contact information (such as name, email and shipping address), demographic information (such as postal code, age level) and provide better services and options to you. We use the information you provide to administer our contests, sweepstakes and other promotions, in addition to the purposes set forth herein. If your information gathered via a survey will be used in a manner different from that described in this Privacy Notice, such use will be detailed in the survey instructions. For example, the instructions will alert you if the information will be shared with anyone in addition to those identified in this Privacy Notice, such as a third-party sponsoring the survey. We may use the information we collect internally in our business for many business purposes, such as to: (i) provide the products or services you may order, including processing orders and returns; (ii) analyze trends and conduct research about improving our products and services; (iii) provide support and respond to questions from customers and Website visitors; (iv) improve our stores, Website, products and/or services; (v) learn about customers’ needs; (vi) contact consumers for research, informational, and marketing purposes, including customizing our product recommendations and promotions to you based upon your information and purchases; (vii) track traffic patterns and Website usage; (viii) enable online ordering and provide customer service with respect to such orders; (ix) correlate information with other commercially available information to identify demographics and preferences to assist us in our marketing efforts; (x) provide specific relevant marketing, promotional, or other information to you; (xi) address information security and/or privacy practices control, network functioning, engineering, and troubleshooting issues; (xii) investigate claims and/or legal actions, violations of law or agreements, and compliance with relevant applicable laws and legal process; (xiii) comply with law, or based on our good faith belief that it is necessary to conform or comply with the law, or otherwise to disclose information to prevent fraud to reduce credit risks, to cooperate with police and other governmental authorities, or to protect the rights, property or safety of visitors to the Website or the public; and, (xiv) process or engage in a sale of all or part of our business, or if we go through a reorganization or merger. We may use the information we collect in a variety of ways. Generally, using all of the above mentioned, and similar type tools, we may collect, aggregate, and use information from or about you such as data about the type of browser and operating system used, which web pages you view, the time and duration or your visits to our Website, the search queries you may use on this Website, whether you clicked on any items or links on the Website, whether you have clicked on any links in any emails sent from us, or third-parties on our behalf, whether you have chosen to opt-out of certain services or information sharing, and whether you have viewed or ordered certain products or services. We may also share personally identifiable information and non-personally identifiable information externally with our affiliates and business partners, as well as with other third-party service providers who help us provide operational services for the Website and our business, which might include, but is not necessarily limited to: business entities that provide email address management and communication contact services, network equipment and application management providers and hosting entities, credit and debit card payment gateways and processors and the issuing and acquiring banks involved in the funds settlement procedures necessary to charge your cards or financial accounts, entities which obtain information such as demographic information which might be aggregated with information we have about you, judicial, administrative and/or legal or financial accounting providers in the event that information must be reviewed or released in response to civil and/or criminal investigations, claims, lawsuits, or if we are subject to judicial or administrative process (such as a subpoena) to release your information or to prosecute or defend legal actions, as we believe is necessary or appropriate to prevent physical harm or financial loss or in connection with an investigation of suspected or actual illegal activity, and with other service providers which may be involved in the other types of services and activities otherwise discussed in this Privacy Notice. We may also use your personally identifiable information to contact you in ways other than email or regular mail, such as via telephone contact, facsimile or SMS, in accordance with your communication preferences. If Ewing Sports, or substantially all of its assets, were acquired, or in the unlikely event that Ewing Sports goes out of business or enters bankruptcy, user information would be one of the assets that is transferred or acquired by a third-party. You acknowledge that such transfers may occur, and that any acquirer of Ewing Sports may continue to use your personal information only in accordance with this Privacy Notice. We recognize the importance of children's safety and privacy. The Website is not designed to attract children, and is not intended for use by any children under the age of 13. In accordance with the Children’s Online Privacy Protection Act (“COPPA”), Ewing Sports does not request, or knowingly collect, any personally identifiable information from children under the age of 13. If we become aware of any mistaken or inadvertent collection of information from a child under the age of 13 through their misuse of our Website, we will take all necessary measures to promptly delete such information from our records. 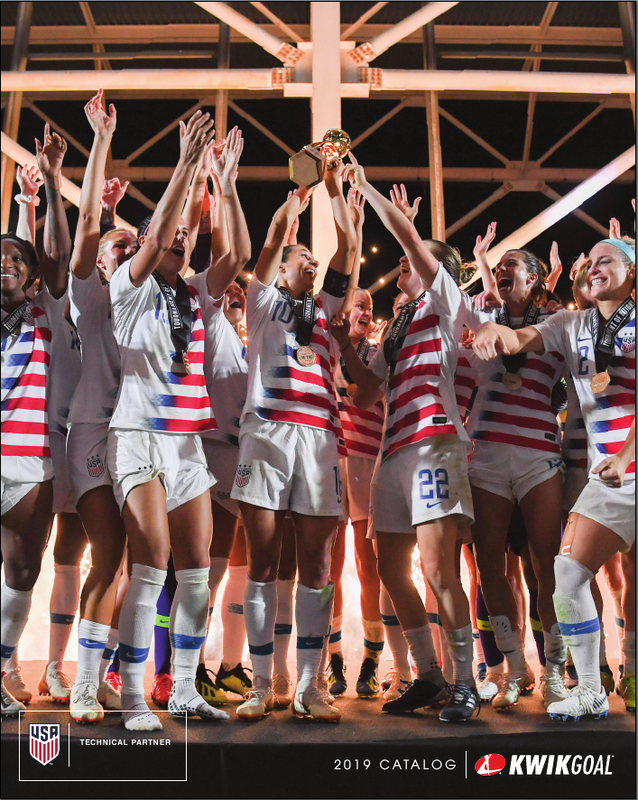 We ask all parents and guardians to assist us in our efforts to comply with COPPA by prohibiting children under the age of 13 from providing Ewing Sports with any of their personal information or using the Website without parental oversight and assistance. We collect various types of personal information about you during the course of your relationship with us as a customer. Under California law, if you are a resident of California, you may make a written request to us about how we have shared your information with third parties for their direct marketing purposes. In response to your written request, we are allowed to provide you with a notice describing the cost-free means to opt-out of our sharing your information with third parties with whom we do not share the same brand name, if the third-party will use such information for its direct marketing purposes. We use data encryption technology when transferring and receiving your sensitive personal information, such as credit card or financial account information. For example, in your transactions submitted by you through the Website, a solid key icon or a locked padlock icon at the lower portion of your web browser window confirms the Website is secured through Secure Sockets Layer (SSL). Pages requesting personal information should always have one of these icons. You can also confirm your data is being encrypted by looking at the URL line of your browser (the place where you type website addresses). When accessing a secure server, the site address will change from "http" to "https". If you have questions or concerns with respect to our Privacy Notice, you may contact us at customerservice@ewingsports.com. We may elect to change or amend our Privacy Notice; in such event, we will post the notice changes in our Privacy Notice on the Website. There are no eligible players on your account. Find another player and start shopping for Player Gear. To start shopping for Player Gear. The top 100 search results are shown. Please refine your search if you're looking for a player not listed. No player results found. Please try your search again. Trying to place an order for your team(s) as a manager? Go to the Manager Store instead! 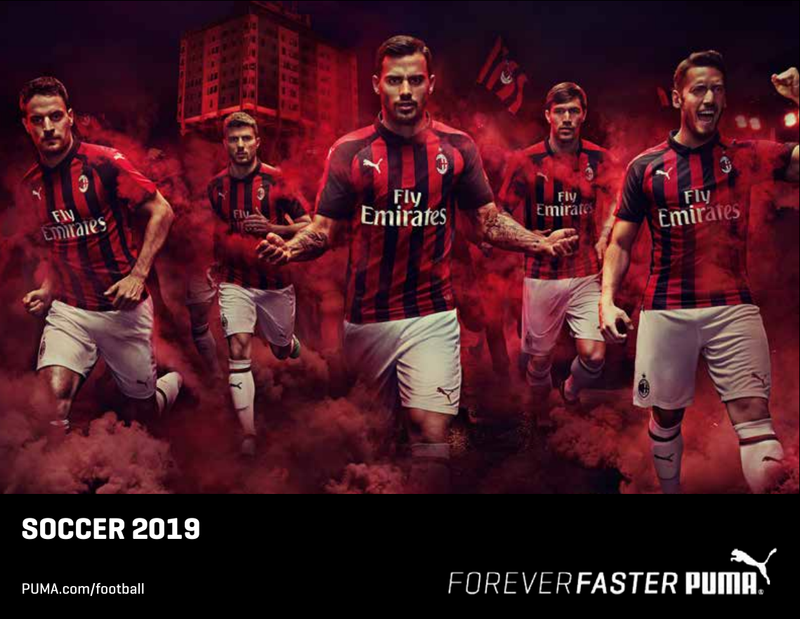 Find another club and start shopping for Fan Gear. You currently have no orders on file. Orders are shipped based on the shipping locations selected at checkout. Available options vary based on your club. Orders marked club or team delivery will be shipped directly to your club or school. A club or school representative will distribute orders to the individual players. Orders with “pickup” will be available at Ewing Sports at no charge. You will be notified by email that your order is ready for pickup. FedEx® Home Ground Delivery - (Delivers Tuesday - Saturday). 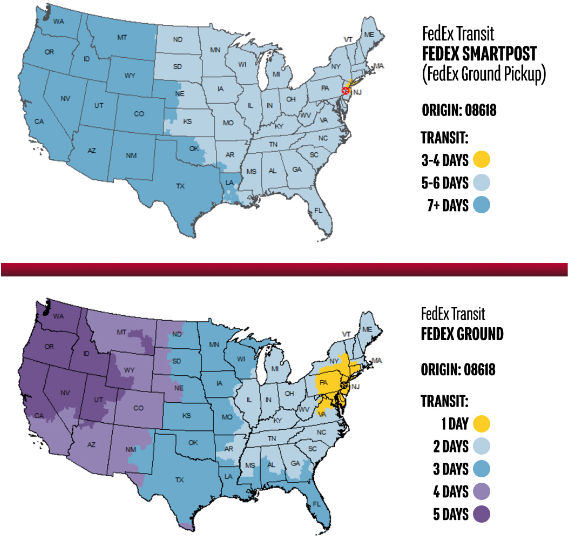 FedEx® SmartPost - (Delivers Monday - Friday) is an alliance between FedEx and USPS, where FedEx picks up the shipment from Ewing Sports and delivers the shipment to the local USPS Post Office, then USPS delivers to the residence. You may return any new, unused and resalable product bought from Ewing Sports retail location (so long as it meets the criteria below) after any amount of time. Items returned within 30 days will be refunded in their original payment method, either cash or credited back to the purchasing credit card, while items returned after 30 days will be issued store credit. Items that were not customized in any way will be treated as a retail purchase and may be returned to Ewing Sports Team Headquarters. Your order confirmation will be required as your receipt to receive a full refund. All sale/clearance items are included in our return policy unless noted as final sale on your receipt. As long as the item is in "new, unused and resalable condition", it can be returned for a refund within 30 days or returned for store credit any time after 30 days. Clearance items also follow the same defective guidelines as outlined below. All items purchased at “tent sale” events are final sale. All items we receive labeled as defective are put through rigorous tests to ensure the product does in fact have a factory defect. Products deemed defective can be returned to Ewing Sports up to 60 days from purchase date for a 100% store credit. In the event that merchandise purchased on EwingSports.com becomes defective during normal wear, please bring the item in to our Team Headquarters. The item will be reviewed for defects at the discretion of Ewing Sports. We have successfully updated your account information. To start shopping for fanwear. Sorry, but no brand gear products matching this criteria are available. Try shopping all brand gear products. You have item customizations you have not added to your cart. They will be lost if you navigate away from this page. *Initials are included on this garment. Please Customize your item. You are not allowed to buy this kit for the selected player. You are not allowed to buy this kit. You must sign up or sign in to see pricing. No special packages currently available. Please browse the rest of our brand gear! We encountered an error calculating your subtotal. Please refresh your page and try again. Check this box to have your order picked up at Ewing Sports Headquarters. You do not need to enter any credit card information. Your remaining total due after applying any discounts, account credit and a gift card is $0.00. Card Type Card Type is required. Card Number Card Number is required. Cardholder's Name Cardholder's Name is required. Exp Date -- 01 02 03 04 05 06 07 08 09 10 11 12 Exp Date is required. CVV Number CVV Number is required. We are unable to accept gift cards at this time. Please call 1.800.579.3636 to contact customer service with questions. We are unable to process your gift card at this time. Please call 1.800.579.3636 to contact customer service with questions. To complete your purchase without using the gift card, please click "REMOVE GIFT CARD" below. NEED YOUR ORDER RIGHT AWAY? With our Expedited Processing service, Ewing Sports will pull your order immediately and move it to the front of the line. Additional handling fee of $. *Be sure to select FedEx® Home Ground Delivery to ensure timely delivery. Only in-stock items are guaranteed to be processed per the timeline below. All other items will be shipping separately. Please feel free to call us prior to ordering to check availability. (Orders received Monday-Friday by 11:00 am EST will ship the same business day. Orders received after 11:01 am EST will ship the next business day). If ordered on Friday by 11:00 am and your address is deemed residential FedEx will deliver you order by the end of the day Saturday. (Delivers Monday - Friday) is an alliance between FedEx and USPS, where FedEx picks up the shipment from Ewing Sports and delivers the shipment to the local USPS Post Office, then USPS delivers to the residence. You'll have a chance to review your order before it's final. By clicking submit order you agree that all your order details are correct and final. Please contact Ewing Sports Customer Service by calling 800.579.3636 as soon as possible if you would like to change or cancel your order. If your request is received after hours, please send Customer Service a follow-up email. Please note that depending on the time of year orders are placed, processing can begin almost immediately and therefore we cannot change or cancel your order after it has entered processing. © Ewing Sports. All rights reserved. 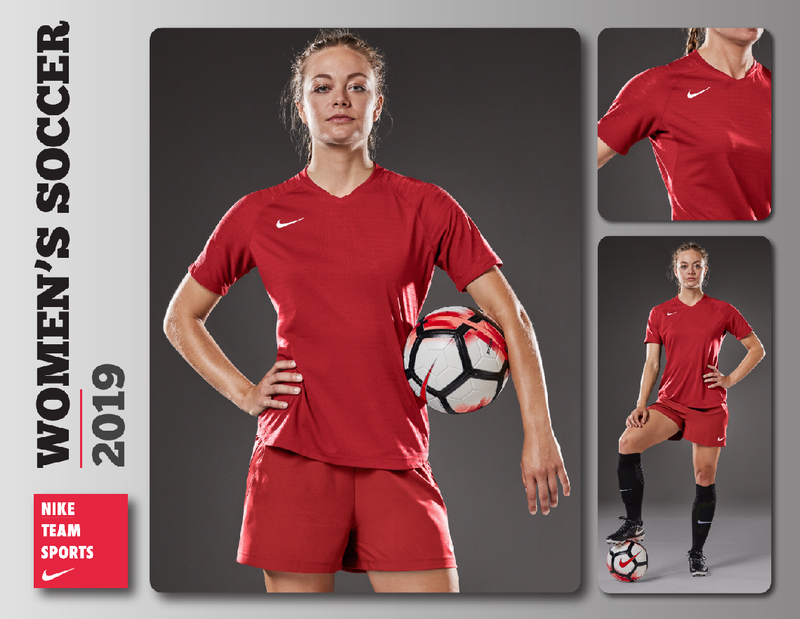 Find a player and start shopping for Player Gear. Please fill out this form and you will receive an email with instructions to reset the password on your account. You will be able to log in once you have completed those steps. We have received your request to reset your account password and have sent a message to the provided email address. Please check your email and follow the instructions to complete resetting your account's password. Your password has been successfully reset! Your Request Has Already Been Completed! Please allow Ewing Sports to send me updates through email. We have received your account request and have sent a message to the provided email address. Please check your email and follow the instructions to complete activating your account. PLEASE NOTE: You will NOT receive an activation email if the email address provided is already on file. If you did not receive an email reset your password and sign in. Measure from seam to seam the fullest part, across chest points, keeping the tape horizontal. Measure from seam to seam the narrowest part (typically the small of your back and where your body bends side to side), keeping the tape horizontal. Measure from the armpit to the bottom edge of your shirt. Measure from seam to seam the fullest part of your hips, keeping the tape horizontal. Without shoes, measure from the top of your hip to the floor. Enter your name as you would like it to appear. Select the quantity of the names you are ordering. See Red Text Box below for further instructions. Please see item description to confirm your club’s optional embellishments. The number below was assigned by your organization as part of a team roster; not Ewing Sports. Ewing Sports is not responsible for any changes that do not correlate with your team's roster. Special customized orders, like your order, cannot be refunded, returned, or replaced. You are responsible for making sure that your customized selections are correct. Ewing Sports, LLC will not be responsible for replacing misordered or incorrectly ordered customized orders. This is the order confirmation for your initial order. Any revision made after submission will not appear on this confirmation.